On Sale Now! Free Shipping Included! Save 4% on the Blue Force Gear BLFVCAS-200-OA-BK Vickers 2-Point Padded Combat Sling, Black by Blue Force Gear at Freedom from Government. MPN: BLFVCAS-200-OA-BK. Hurry! Limited time offer. Offer valid only while supplies last. 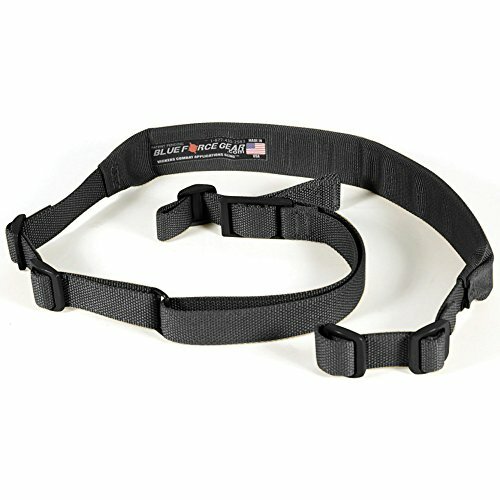 Blue Force Gear, Sling, Molded Acetal Adjuster, No Quick Release, Attached with TriGlide instead of Loop Lock, 2-Point Padded Combat Sling, Black. If you have any questions about this product by Blue Force Gear, contact us by completing and submitting the form below. If you are looking for a specif part number, please include it with your message.